874 < Some Irish families and hermits had moved here and settled, long before the Norvegians started their settlement. 850 Naddodur, the Norvegian viking, discovered Iceland accidentally and named it “Snowland”. 855 The Swedish viking, Gardar Svavarsson sailed around the country and could confirm, that it was an island. He named it “Gardarsholmi”. 874 Ingolfur Arnarsson spearheaded the wave of immigrants from Norway. 930 At the end of the socalled “Age of Settlement”, when the country was almost fully settled, the 36 chieftains decided to found the country’s common parliament at Thingvellir. 999 Leif the lucky explored the eastern coastal areas of North America. He discovered Newfoundland (Vinland the good) and probably founded the settlement at Lance aux Meadows. 1000 Christianity was peacefully adobted by law by the mixed pagan and christian population, mostly for political reasons. 1006 Duelling was banned by law by the parliament. 1104 A massif and poisonous Hekla eruption devastated large areas, caused the death of many people, and killed live stock. The prosperous Thjorsa Valley was wiped out. 1117/1119 The icelandic law was eventually written by Haflidi Masson (Haflidaskra). 1120 > The beginning of the writing of the saga literature. Ari the learned wrote the “History of the Icelanders”, beginning with the “Age of Settlement” and up to date. 1244 Floabardagi – The Bay Sea Battle took place on Hunafloi Bay. The only mentionable one fought off the coastline of Iceland during the latter Saga period. 1262 The Icelandic parliament swore the Norwegian crown allegiance, thus ending the nation’s independence. 1343 The first person to be burnt on the stake in Iceland was Sister Katrin, who was found guilty of selling her soul to the devil. 1380 Norway passed its rule of Iceland to the Danish crown. 1402 Close to one third of the Icelandic population was killed by the plague called “The Black Death”. 1530 The bishop of the northern see, Holar, imported the first printing press. 1541 The parliament confirms the reformation from Catholicism to Lutheranism. 1550 The last obstacle of the reformation process removed. Jon Arason, the last catholic bishop of the northern see, and two of his sons executed in Skalholt, the seat of the bishops of the southern see. 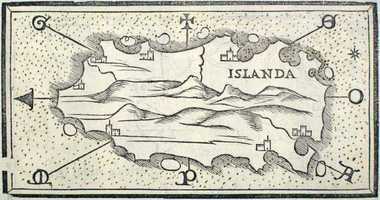 1602 The Danish trade monopoly was introduced in Iceland. 1627 Algerian pirates raid the east coast, the Westman Islands, where they abducted 242 persons, and tried in vain to raid the southwest coast before returning home. 1662 The Icelanders swore the Danish monarch allegiance. 1700 The Gregorian calendar was adopted. 1703 The first comprehensive sensus in Iceland. The number of inhabitants was 50.358 and the number of homes was 7.622. 1783 “Skaftareldar”, one of the earth’s largest recorded eruptions. It lasted until 1784 and caused the death of more than half the population of the country. 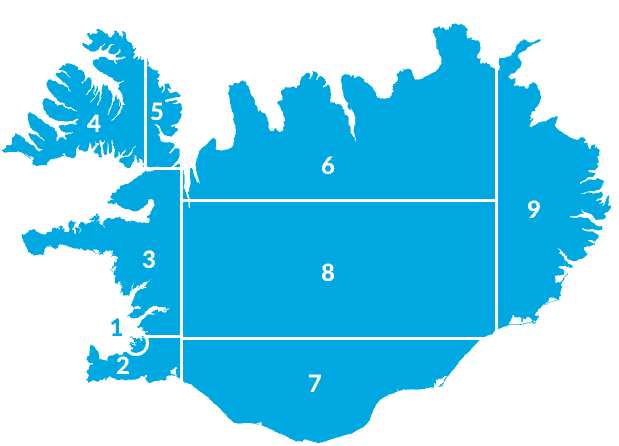 1800 “Althingi”, the Icelandic parliament was abolished by a decree from the Danish crown. 1830 The last execution was carried out. 1865 The first caesarean section delivery. The child lived, but the mother died. 1870 + Between 1850 and 1912 approximately 16.200 Icelanders emigrated in search for better life to the Americas, mainly to North America, especially Canada. 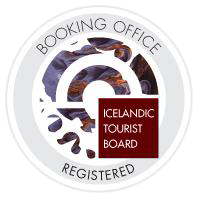 1874 The Icelanders celebrated the millenium of inhabitancy. King Christian IX visited the country and handed the country’s first constitution over in the Parliamentary Plains, thus giving the parliament back its legislative power. 1882 Women, unmarried or widows, 25 years old, were granted the right to vote in community elections. 1886 The first bank, “Landsbankinn”, was founded. 1904 Home rule granted. The first cabinet minister, Hannes Hafstein, was elected. The first electrical lights. The first automobile was imported. 1906 The first cinema was opened in Reykjavik. 1908 Education for children between 10 and 14 declared compulsory. 1913 The first and only railway was built. It served for transport of building materials for the new harbour of Reykjavik. Construction work was finished in 1917. 1918 The coldest year in the recorded history (-37,9°C at Grimstadir a Fjollum). 1919 The first aeroplane lands and takes off in Reykjavik. 1920 All restrictions of women’s right to vote and their eligibility lifted. 1922 The country issued its own currency. The first woman was elected in the parliamentary elections. 1930 The beginning of the broadcasting of The National Broadcasting Service. 1931 Public transport established in the capital. 1935 The beginning of telecommunications between Iceland and foreign countries. Prohibition mostly abolished. Beer is not permitted. 1940 British forces occupied Iceland on May 10th. 1941 The British military leaves Iceland in the hands of the American Navy. 1944 Iceland declared independence and the parliament elected the country’s first president, Sveinn Bjornsson. 1946 Iceland became a member of the UN. The first motion picture in full colours was premiered. 1947 Mt Hekla erupted uninterrupted for 13 months. 1949 The first traffic lights in Reykjavik. 1955 The Nobel Prize for literature was granted the author Halldor Laxness. 1963 The longest historical eruption started. During this submarine eruption four islands were created. The largest one, Surtsey, survived. 1968 The National Television Broadcasting began. Driving on the left hand side of the streets and roads abolished and right hand driving taken up. 1971 The Danish Coast Guard vessel, Væderen, brought back the first of the old manuscripts from Denmark, where they had been preserved from the 18th century. 1972 The World Chess Championships were held in Reykjavik. The Russian Boris Spassky played against the American Robert Fischer and lost. 1973 A volcanic eruption started on the only inhabited island of the Westmanna Archipelago. The population was evacuated for a few months. 1974 The official opening of the ring road. The last obstacles conquered with four bridges on the outwash plain “Skeidararsandur”. 1975 The fishing limits within the Icelandic territory were extended to 200 nautical miles. 1976 Britain succumbed in the third, and hopefully last cod war, and withdrew its naval vessels from Iceland’s sovereign waters. 1980 The Icelanders were the first people to democratically elect a woman, Vigdis Finnbogadottir, as their president. 1986 The first privately operated radio station started broadcasting. A summit meeting between the US president Ronand Reagan and Soviet leader Mikhail Gorbachev in the “Hofdi House” (October 11th and 12th). 1989 After 74 years of beer prohibition, the Icelanders gained lawful access to this beverage on March 1st. 1992 The Icelandic film “The Children of Nature” was nominated for the Oscar as the best foreign film. 1994 Great festivities on the old Parliamentary Plains in celebration of the 50 years of independence. 1995 Iceland hosted the World Cup handball games. 2001 Olympic boxing was legalized after 45 years of prohibition. 2002 The Mt Karahnjukar hydroelectric power station project was started to supply the Alcoa aluminium smelter on Bay Reydarfjordur, East Iceland. 2004 The National Museum reopened after six years of restorations and renovations. 2006 The population of the country exceeded 300.000. 2007 Smoking was banned in restaurants, bars and night clubs. 2008 In October the heavy blow of the world crisis lead to the collapse of the three largest banks and left the country on the brink of bankruptcy. After the privatetization of the government banks in the beginning of the century they overextended themselves and, because of lack proper supervision, overwhelmed the small economy of the country. 2009 The socalled “Houshold Revolution” on the square in front of the House of Parliament lead to the resignation of the government in January. The first gay and female primeminister was elected in Iceland. The Icelandic government, elected on the 29th of April, applied for membership of the EU. At that time, public opinion polls showed almost 70% against membership. 2010 Two volcanic eruptions. The first started on March 20th (to April 12th) in the Mt pass “Fimmvorduhals” (two fissure eruptions), and the second started on April 14th in the Mt massif “Eyjafjallajokull”. Its ash plume lead to hysterical reactions by authorities and unpresidented actions in aeronautical history. 2014 August 29th 2014. A fissure erupti­on has started at Holu­hraun lava North of Dyngju­jök­ull glacier in Vatna­jök­ull glacier. No volcanic ash has been detected with the radar system. – December 2014. Eruption are still in Holuhraun lava. The lava contnues to flow to the east north east and has grown in area. The lava have reach JOKULSA a FJOLLUM. 2015 28 Februar 2015. The volcano in Holuraun has paused or the eruption in Holuhraun is over. 2016 The central volcano Katla is hidden under the southeastern part of the ice cap Myrdalsjokull. A fissure erupti­on has not started.